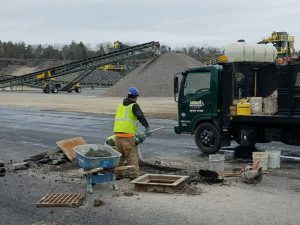 Keenan Excavating has extensive experience handling manhole and catch-basin projects for some of Southern Maine’s largest contractors, developers and municipalities. Our team within our Manhole Division work exclusively on these projects so their expertise and training is unmatched. We can install, adjust and repair drain and sewer manholes, and catch basins and drain channels, for any new project or repair need you have. 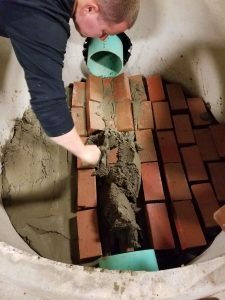 We work with general contractors, developers, condominium associations and maintenance staff to install, repair and replace manhole and drainage systems, and our customers return because we highly-qualified, organized and dependable. We have a very organized approach to our commercial project of this sort, visiting ahead of time to go over the needs and plans for the project. We pride ourselves on being proactive – anticipating any challenges, and planning for all potential needs.